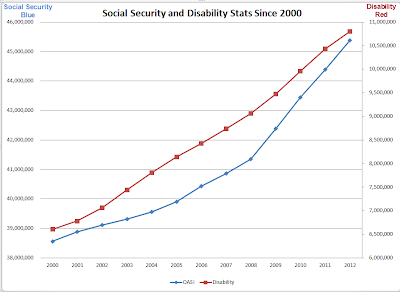 Here is a chart from reader Tim Wallace showing social security and disability stats for June of 2012 compared to June in prior years. 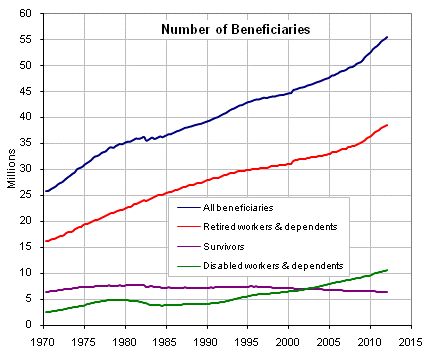 Chart shows those receiving benefits. 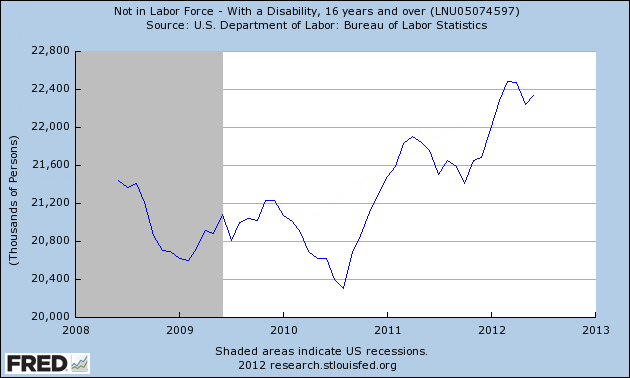 Those not in the labor force claiming a disability is much higher. 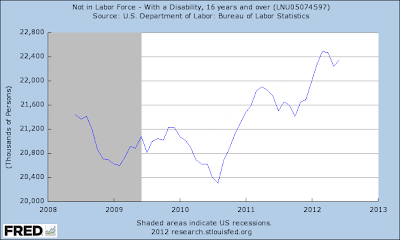 In terms of effect on unemployment stats, the above chart applies. 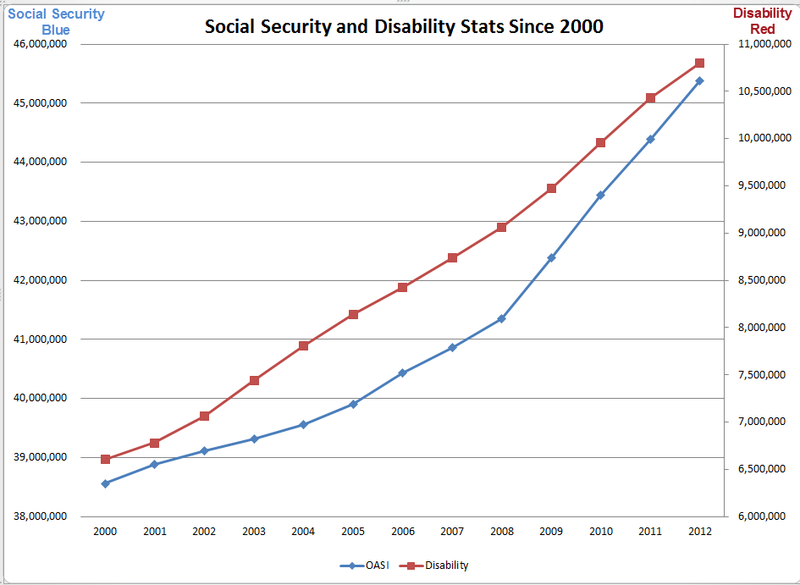 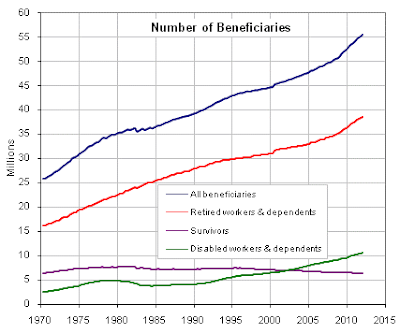 Beneficiary Data in first chart is from Social Security Online. 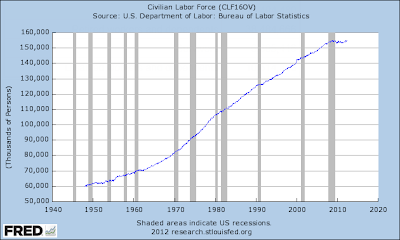 Here are additional charts from the site. 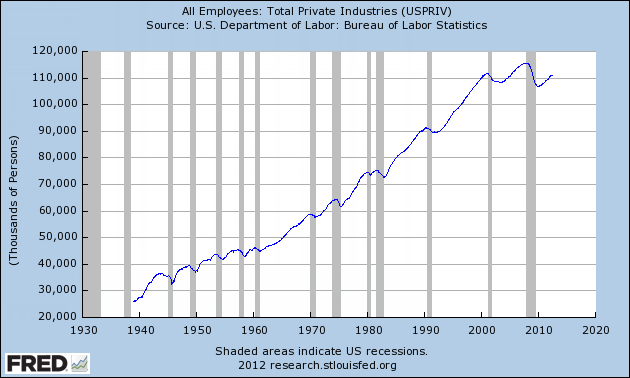 A few more charts will put this in perspective. 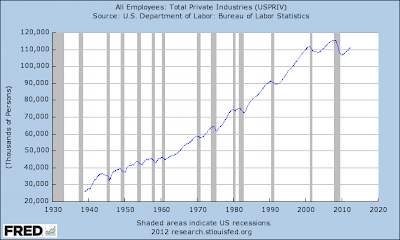 Here is one final chart to ponder. As of May 2012, the outlays are $756.9 billion annualized. 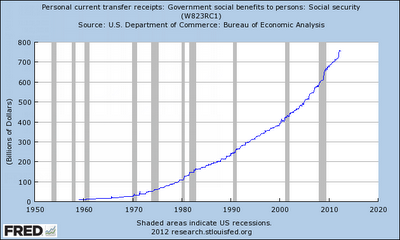 Fewer worker relatively speaking, support more and more recipients with exponentially growing payments. 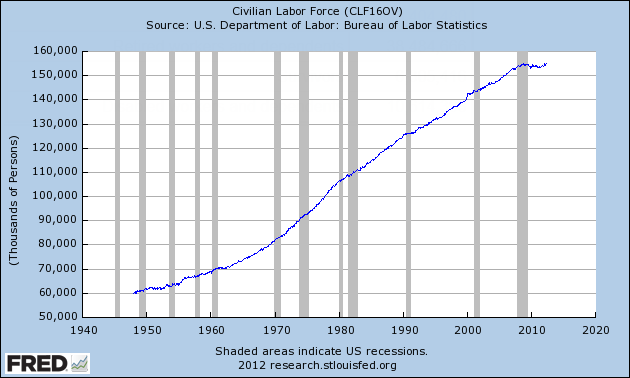 This is supposed to work?